If you are one of those people who really wanted to see Freya’s longline bras in 28’s then I highly recommend you head over to Hourglassy’s blog and read about her experiences at Curve Expo. There are some nice little surprises in there. 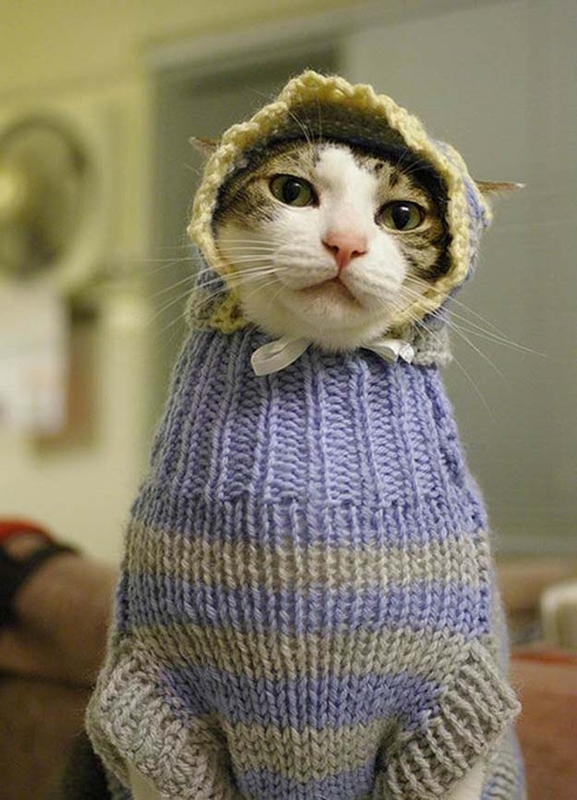 Also, here’s a cat in a sweater to brighten your day. Oh Sweater Cat. You look so . . . intelligent. Yep. The thing I love about cats in sweaters is that it’s like they’re attempting to look dignified… but they can’t… because they’re cats.